The man called his wife’s name Eve, because she was the mother of all living (Genesis 3:20). Take a stand for life. Satan wanted woman to be the mother of death, but Adam named his wife “Eve” (Hebrew: chawwah, “life”) because she would be the mother of all the living. With this name, Adam expressed hope for the future through new life and, most importantly, through the promised Seed of the woman: Jesus Christ. How does God help us understand “choice” in Deuteronomy 30:19-20? Regardless of our choices in the past, what can we choose to do now? How does being pro-life affect the way we see ourselves and others? On Mother’s Day, celebrate the noble vocation of motherhood with a thank you to mothers and grandmothers. Pray for those who longed to be mothers but lost a child through miscarriage or stillbirth. Remember the mothers who chose abortion because they feared motherhood, that they might know the mercy of Jesus’ forgiveness and hope for new beginnings. Trust God’s Word. A woman is, by God’s design, a “helper”. This is her first vocation. God equips wives and mothers to help men be good stewards, grow children in faith, defend human life, and serve neighbors. In what ways does a woman connect fathers to children? Raise standards of behavior? Nurture moral character? Encourage husbands and children to stand against evil? Write your vocational job description on a notecard and keep it by your bed or above the kitchen sink. Create a peaceful “nest” for your family and guests. God’s Word in Isaiah 32:18 tells us, “My people will abide in a peaceful habitation, in secure dwellings, and in quiet resting places.” The world is loud, selfish, rude, stressful, violent and disorderly. When your family and guests come in the door, welcome them to a different environment. A man should strive to bring order to his household, but the woman creates the “nest”. 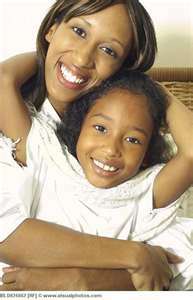 A mom doesn’t have to be a “super woman”, but she can keep her home clean, hospitable, peaceful, and Spirit-filled. Little things can help, such as: the music of teachable hymns, a scented candle, the table set and ready to receive the family, the Cross of Christ the Savior somewhere visible, personal composure, carefully spoken words, the practice of kindness, respect for “house rules”, limited TV and computer time, establishment of family traditions, and intentionally scheduled family time. Invite your pastor to bless your home. Ask a few Christian friends to join you, your family and pastor for a “house blessing”. Join in prayer and God’s Word. Invite the Holy Spirit to live in your home and to fill it with truth, compassion, and faithfulness. Pray that God’s holy angels stand guard and resist evil. Start a Titus 2 mother’s group. Be sure to include younger and older women. It is easy for young women to think that motherhood is different today than in the past. While it is true that work outside the home and modern trends may contrast the way “things used to be”, children themselves have not changed. They require discipline, boundaries, and the mentoring of agape love in order to grow in faith and face the challenges of a sin-filled world. Incorporate Titus 2 mentoring into scrapbooking. While hands are busy preserving memories of children and families, resist idle gossip and, instead, keep conversations focused on all things good, right, positive and hopeful. Before you meet, invite everyone to read, for example, Lies Women Believe by Nancy Leigh DeMoss (Amazon) or Where’s Mom? (The High Calling of Wife and Mother in Biblical Perspective) by Dorothy Patterson (CBMW). Discuss the concepts of the books while working. Consider the resources found at Titus 2 for Life. Encourage the single moms in your congregation and community. One suggestion is to order copies of Not Alone, a devotional booklet I wrote for single moms (#LFL901B—$2, Concordia Publishing House). Deliver one tied to a small flower bouquet or tucked in with a freezer-ready meal that you’ve prepared for her convenience. Evaluate what comes into your home. Do the websites you view and the magazines and movies you bring into your home encourage or discourage the vocation of motherhood? From where does your help come? “See to it that no one takes you captive by philosophy and empty deceit, according to human tradition, according to the elemental spirits of the world, and not according to Christ” (Colossians 2:8). Linda Bartlett and presented at Titus 2 Retreats.